When Martin Luther nailed the 95 Theses on the church door in Wittenberg, he sparked an examination of the doctrines of the church. The news of justification by grace through faith for the sake of Christ spread quickly. Yet among those who subscribed to the Biblical principle of salvation by grace still needed instruction. In 1525 Justus Jonas and John Agricola began working on a book of instruction which taught the basics of Christianity. This book was never completed. Again in 1528 Philip Melanchthon began to write such a catechism, and it, too, was not finished. Meanwhile the people needed a clear explanation of God’s Law and Gospel. Melanchthon did write the “Instruction to the Visitors of the Clergy in the Electorate of Saxony” in 1528. Here was a brief handbook of instruction for the pastors of the various congregations. The visitors, which would be like our Circuit Counselors, reviewed the teaching and procedures of each congregation. Their findings were appalling. Where Luther wrote the Small Catechism for the instruction of the children, he wrote the Large Catechism for the instruction of the pastors and teachers. The visitors found some pastors who did not know the six chief parts of the catechism, namely the Ten Commandments, The Apostles Creed, The Lord’s Prayer, Baptism, Confession, and The Lord’s Supper. Since the publication of the first edition of the Large Catechism 1529, pastors and other adults have used it as the basis for teaching the Small Catechism. Luther could go into more detail because this book was intended for adults, not children. He answered many of the questions and gave background information which children simply could not grasp. 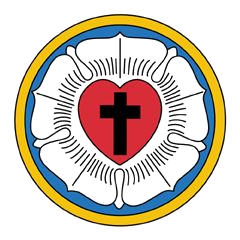 Today the seminarian who is learning to become a pastor will study the Large Catechism as well as the other confessions of the Lutheran Church. It still forms an integral part of his study and review. The truths taught here are timeless, and deserve our continued attention. Text of the Large Catechism in a new window.